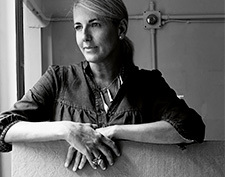 Patricia Urquiola – design star with ¡emoción! The Spanish-born designer has been named “best designer” by the international media on multiple occasions. A shining star at furniture trade fairs, she is equally successful with lighting and materials. A former student of design legend Achille Castiglioni, she is now one of the leading voices of modern design. Her refreshingly unconventional work combines feminine style and floral references with a minimalistic approach: “I love creating fusion!”. For AXOR, Patricia Urquiola has launched an association-filled bathroom with an appropriately self-confident slogan: “Awakening your senses”. Here comes Patricia. 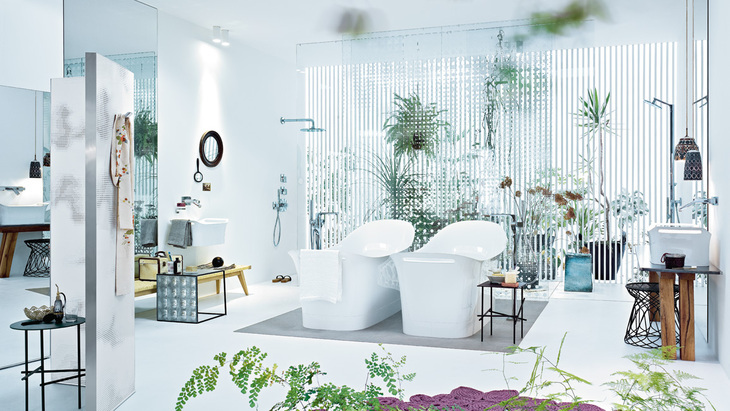 AXOR Urquiola invites you to create a style fusion in your bathroom. Combine old and new through the multi-faceted collection with endless details for discovery. Personal items fit into the environment as though by chance. The highly refined products create a sense of harmony and a bathroom with a personal character. For example, through the AXOR Urquiola bath, which resembles an old-fashioned wash tub, or the AXOR Urquiola paravent, which doubles up as a room partition and a radiator. Born in Spain in 1961, Patricia Urquiola graduated in Milan under Italian design legend Achille Castiglioni, who turned her focus from architecture to product design. She gained ten years of experience from the best in the sector before opening her own design office, which now employs more than 20 people – and has become a new star in the global design firmament. Patricia Urquiola does not commit to a specific style. Instead, she aims to evoke people’s emotions and trigger associations by combining styles, shapes and references, re-interpreting them and giving them a new lease of life. It is no wonder that what matters to her is people’s desire to spontaneously touch her designs. Her clients are the big names in the furnishing sector; even including the innovative tile manufacturer Mutina, for who she recently turned a grandmotherly damask cover into decorative ceramics.